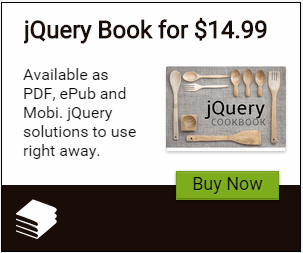 jQuery: Load Page in a Div - Loading an external page in a div using jQuery is as simple as calling thejQuery Load method. Text Shadow Filter in IE - You can drop shadows to text using the text-shadow property which was re-introduced in CSS3. Free Photo Editors for Web Designers - A good photo editing software comes with a price, but here are some free open source photo editors that could do the job for you! Silverlight 4: Consuming WCF REST Service using JSON - A nice feature of WCF programming is the support for REST and JSON, using which a client can communicate with the WCF service without using A proxy. In this article, I have used a Silverlight 4 client application to make a call to WCF service using JSON. Silverlight 4.0 : Open .Exe Files using COM Interoperability - While working with Silverlight Line of Business applications, there may be a scenario where the user wants to open .exe applications e.g. Notepad or Calculator from the local machine. The question here is how to make this possible in Silverlight? Silverlight 4 and 5 Tutorials–Link List - I recently published a list of Silverlight 4 and Silverlight 5 Tutorials that should be a useful resource for every Silverlight developer out there. 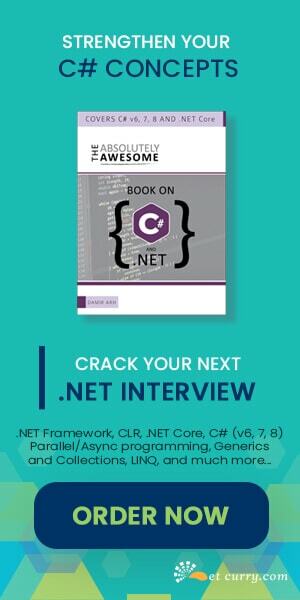 ASP.NET: Accessing Nested Repeater Control - The ASP.NET Repeater control is a handy data-bound list control that allows you to create a custom layout by repeating a specified template for each item displayed in the list. You can nest a repeater control inside the other to create advanced layouts. Silverlight TextBox Numeric Validation - Although we have IDataErrorInfo interface for input data validation in Silverlight, it provides us validation error when the user enters the data and leaves the textbox. However the requirement we are talking about is when the user enters any data in the textbox, it should be automatically validated. This article contains the solution to this requirement. SharePoint 2010 Service Pack 1 Released - Microsoft recently released Service Pack 1 for SharePoint 2010 and Office Products. "Partially Succeeded" TFS status in Visual Studio while upgrading to TFS 2010 - While upgrading from TFS to TFS 2010 and to TFS Team Build 2010, you may have come across the ‘partially succeeded’ message. SharePoint 2010 and Azure Free Training - If you are a developer/architect who is interested in understanding how SharePoint 2010 and Windows Azure can leverage each other, then Microsoft recently released the July 2011 update of SharePoint 2010 & Windows Azure Training Kit. Awarded the MVP Title – 4 Years in a Row - I was awarded the Microsoft MVP title again for the 4th consecutive year, and I thank Microsoft for bestowing this award on me. BizTalk Server 2010 Training Kit and VHD - Microsoft has released the BizTalk Server 2010 pre-configured VHD and Training Kit to help you get started with BizTalk. Create Social Games in Windows Azure - I recently stumbled upon the Windows Azure Toolkit for Social Games that includes accelerators, libraries, developer tools, and samples that can be used in games created using .NET or HTML5. The goal is to let game developers focus on development instead of operational hurdles. Entity Framework 4.1 Update - If you are using Entity Framework to create data access applications, then there’s a new update to Entity Framework 4.1. EF 4.1 was announced in April. Microsoft has just released EF 4.1 Update 1 to fix some bugs as well as introduced some new types. Visual Studio LightSwitch 2011 RTM Trial - Microsoft recently released the Visual Studio LightSwitch 2011 RTM. This tool is available for free to MSDN subscribers. However those who are not MSDN subscribers can download the RTM trial for 30 days. Sharepoint is a highly effective web website with much to provide composing applications and trainers. Sharepoint is a highly effective program that is thankfully easy for beginner people to learn.